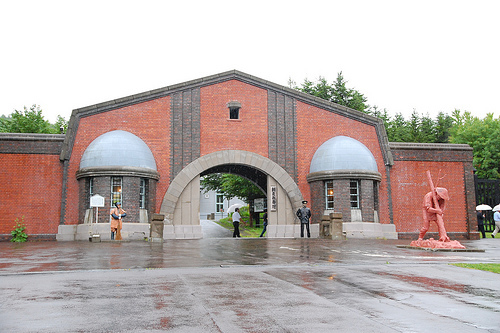 Located in Amashiri, Hokkaido, Abashiri Prison Museum exhibits the real life of Japan’s northernmost prison which was once called “the hardest prison to escape” during the Meiji period (1868 to 1912). 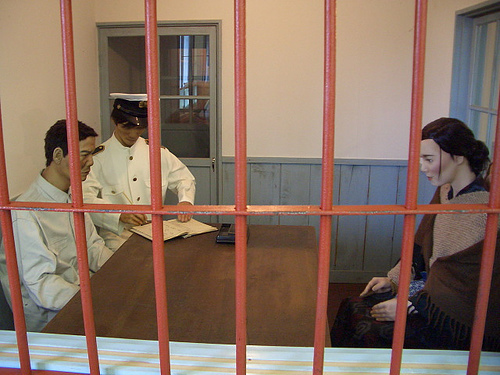 The building was the actual prison in the period and brought over to a different location in the same city. 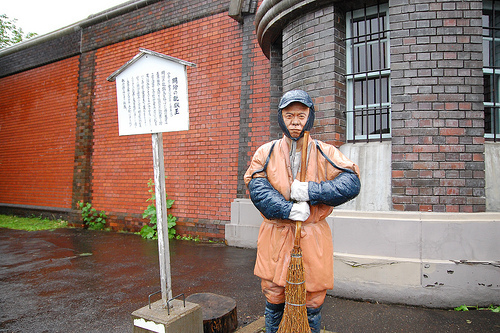 It is the Japan’s oldest prison in existence. 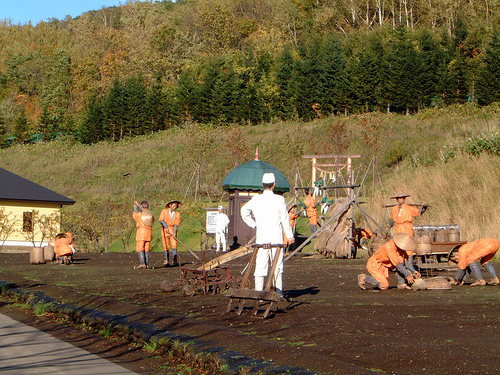 The entrance gate and a king of jailbreak Torakichi is sweeping the ground (left). Let’s look at the jailbreaker closely. 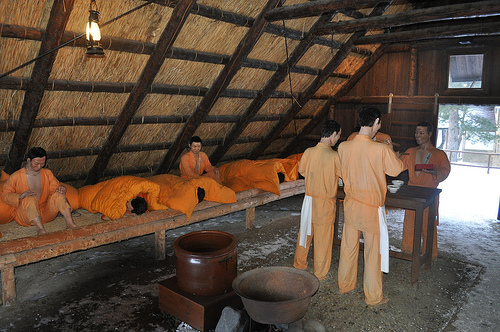 Prisoners are sleeping and eating at a prison hut. 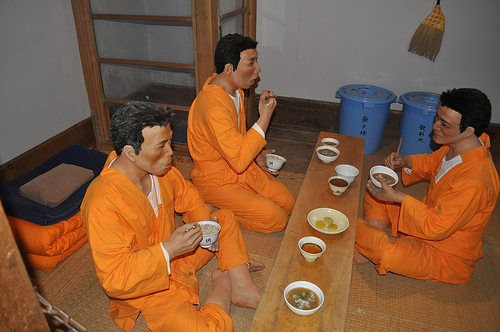 These prisoners are eating in a cell. Bathing scene. They use basins because there is no shower. 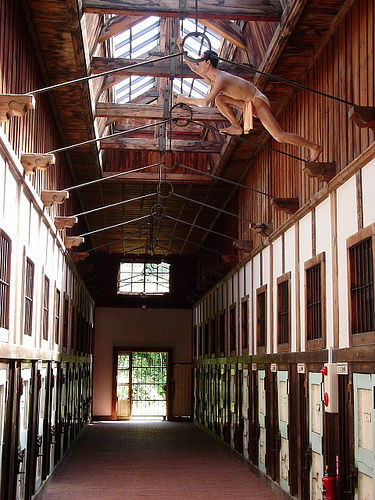 Inside of the prison. 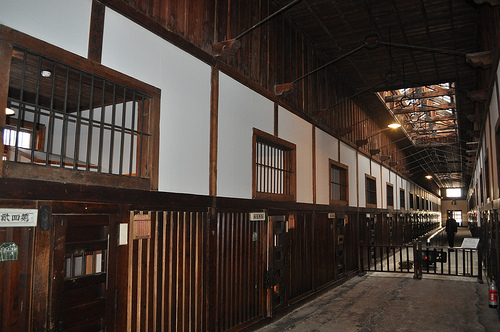 Even though it is a prison, there is some kind of warmness because it is made of wood. A king of jailbreak “S” is in the middle of escaping. A prisoner sees his wife and baby child. 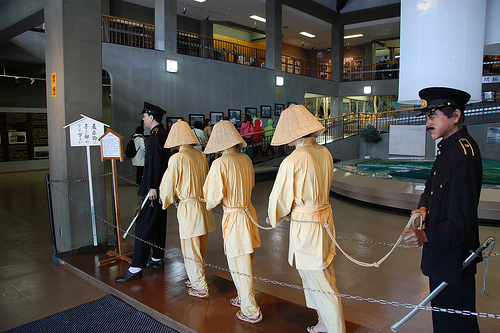 Prisoners wearing semi-blind hats are marched to the prison. 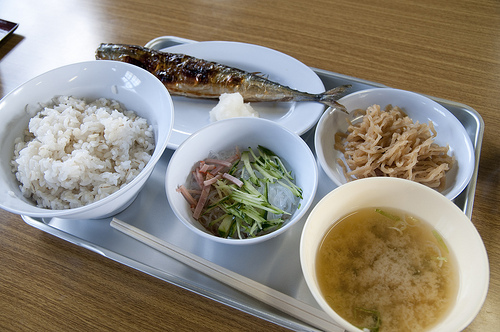 The museum café serves prison meal (Fish, rice, dried daikon radish, miso soup, and salad). Visit the official website to learn more about the museum. Where Are Japanese Canned Fruits Come From?